While servomechanisms are used to provide and transmit a precise amount of energy used to correct a performance error through another mechanism that will provide the required work, servo actuators actually function to correct the performance error without the help of an additional device. Since servo actuators provide such precision control, they are often utilized in industries such as industrial manufacturing, for applications such as factory automation, instrumentation and material handling robotics; electronics, for use in beam steering applications, radio and remote-controlled vehicles and more; marine and aerospace, in automatic navigation systems; textile, for use in web guiding systems; and medical, for precision motion control of medical devices such as patient lifts. 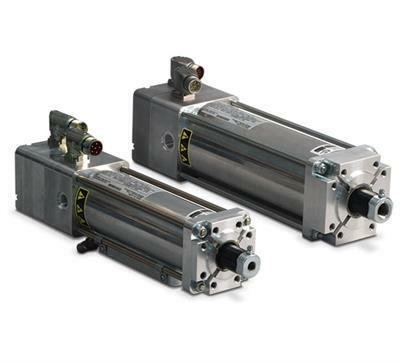 Servo actuators can be powered through hydraulic, pneumatic, and electromechanical means; however, electromechanical actuators and pneumatic servo actuators are much more common than hydraulic. The choice of actuation depends on the power, speed, and precision requirements of the application. 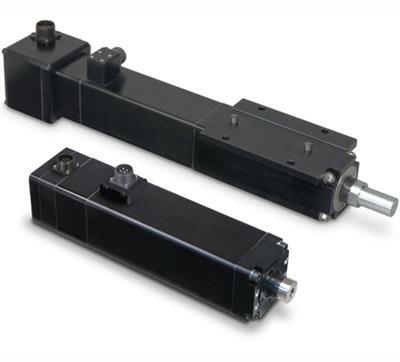 Servo actuators consist of three main components: a servo motor, a set of gears, and an output bearing. There are two main types of servo motors: brush and brushless. Well-suited for long stroke applications, a brush servo motor has a commutator with mechanical brushes that connect the power source to the armature, or a rotating coil that induces a voltage from motion through a magnetic field. Brushless servo motors, on the other hand, provide commutation through electrical means and, as a result, offer many advantages over the brush motor design such as a longer service life due to less mechanical wear and tear. The most common types of gears used in servo actuators are worm gears and planetary gears. Worm gears are gears that have a curved and recessed throat, whereas planetary gears consist of three or more small outer gears that rotate around a larger, central gear. The output bearing is commonly encased in a hard, protective housing, typically made from metals such as aluminum, zinc, or steel. The output bearing functions to allow for constrained linear motion between two or more mechanisms. In servo actuators, the bearing operates at an angle. The angle generally ranges from 0 to 180º, not exceeding 210º, and its movement is limited due to a mechanical stop that is attached to one of the gears.